With Unbounce’s landing page plugin for WordPress, marketers can create fully customized landing pages for their campaigns and publish them to their existing WordPress sites.Unbounce allows you to customize your landing pages to match your brand perfectly. The WYSIWYG builder allows for quick and easy page editing. 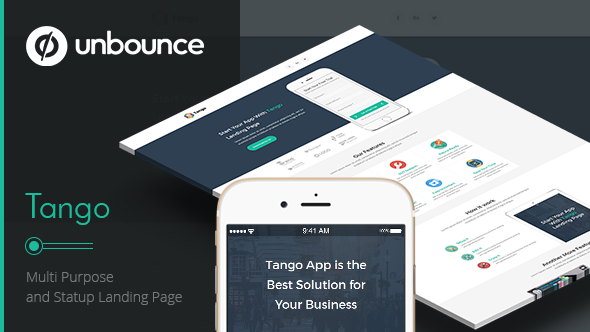 Tango is new Unbounce template made for Startup projects. It also can be used for multi purpose. We hope you like it! 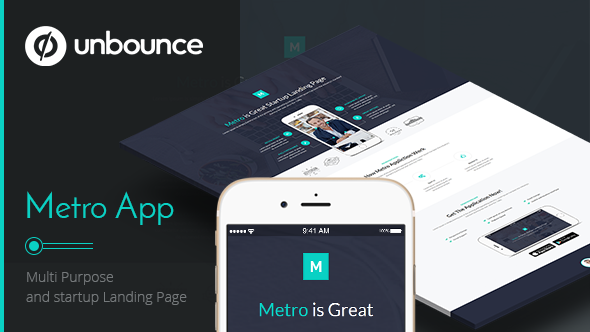 Metro App is new Unbounce template made for Landing Page and Applications use. It also can be used for multi purpose. PSD files design needed elements are included. We hope you like it! 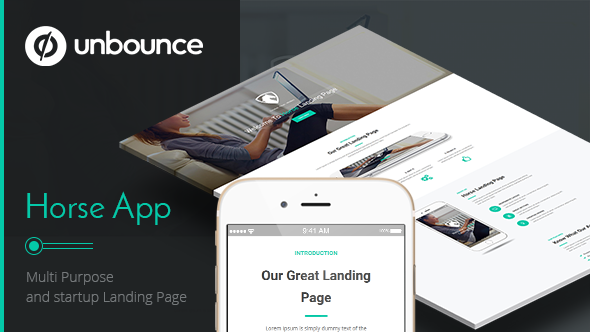 Horse App is new Unbounce template made for Landing Page and Applications use. It also can be used for multi purpose. PSD files design needed elements are included. We hope you like it! 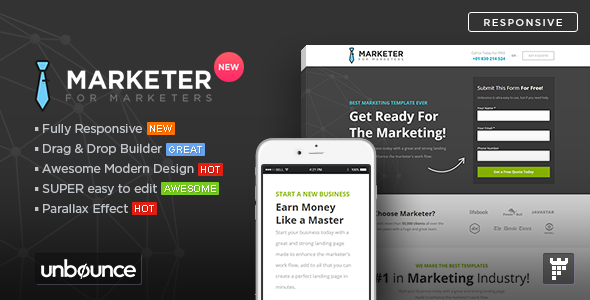 “Marketer” is a Premium Marketing Landing Page Template for Unbounce.com, with a lot of features, and clean & modern design, you can make an awesome & high conversion landing page with a form in minutes. 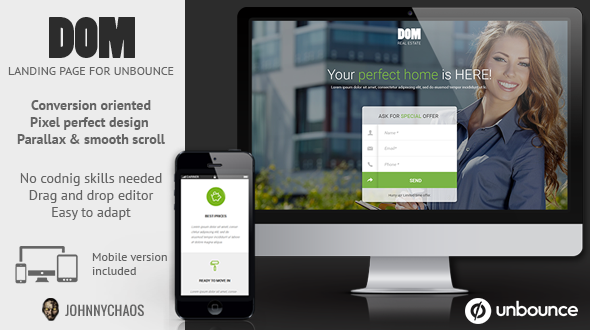 DOM is a Unbounce Landing Page dedicated (but not limited) to Real Estate Industry – real estate agents, condo development etc.